My name is Tino Fierro and I am White Crow's Owner & Operator. 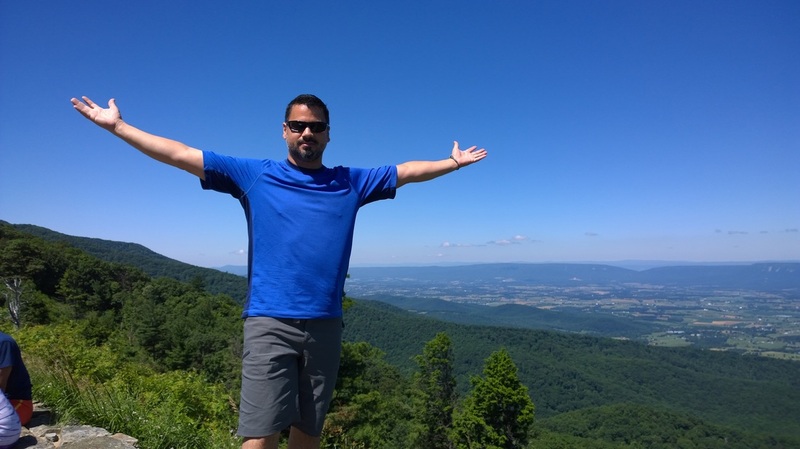 I am a native of Northern Virginia, and have been hiking, camping and exploring the outdoors most of my life. I first started leading tours in 2003, and since then it's always bee﻿n a job I've loved! When I lead tours, hikes, or any other type of excursion, I make the effort to get to know the people I am with, and do everything I can to ensure the group is comfortable, safe, having fun, and full of smiles. Whether you're traveling alone, with your family, or a small group of friends, I can design a custom tour to meet your needs and interests. The hikes I offer are accessible to all ages and hiking levels, so don't discourage yourself into thinking that you can't go hiking, because You Can! We can travel along historic Skyline Drive, hike along the Appalachian Trail, and venture to some of the highest peaks in the Blue Ridge Mountains. We can explore the history of Shenandoah National Park at Big Meadows Visitor Center, or learn about the first battle of the American Civil War at Manassas National Battlefield Park. The views are amazing, the history is captivating, and there is always the chance to see the animals that live in the parks. Also, I specialize in tours of our Nation's Capitol, so let me know if you'd like to visit some monuments and memorials as well. Tours will be tailored to your specific needs. If you are interested, please contact me by email or fill out the Private Tour Request form on the Tours page.